Four tier cake, different shape layers. 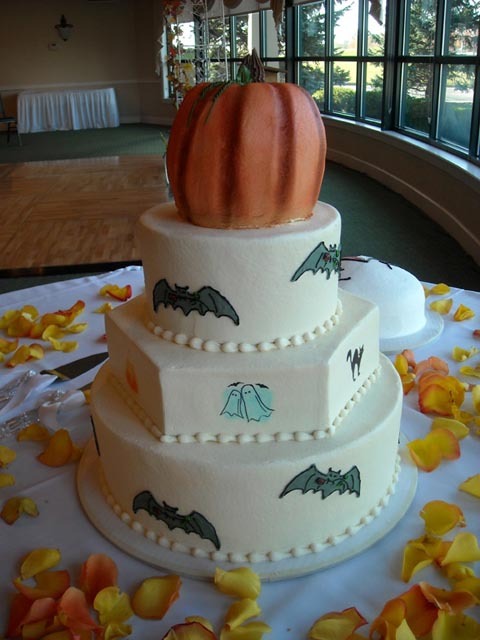 Pumpkin on top with different halloween images on sides. Rose petals around cake.